First visits to New York city is only complete when you witness the sheer magnificence of the Statue of Liberty up close and personal. Many New Yorkers would argue that the city has much more to offer than the popular touristy points. However, for someone who has never been to the city then a Statue of Liberty tour is an absolute must. When visiting Liberty Island most people choose to hop on a tour boat or take a ferry. At peak tourist hours, ferries get incredibly crowded. You get herded to the Island with hundreds of others. The entire experience is usually marred by the sheer lack of personal space. This is exactly where Liberty Helicopter tours come in as a great option. Sure, Statue of Liberty helicopter tours is not the cheapest of options to see Lady Liberty. However, it’s also not as expensive as most people presume. For less than $250, you get the best seat in the world to enjoy the unique architectural wonder in relative solitude. Following are 5 practical reasons why Liberty helicopter tours make complete sense. The amazing urban jungle of NY is best witnessed when you take to the skies. When you embark on a Liberty helicopter tour you get the best views of the skyscrapers of Lower Manhattan as you cruise over the Hudson River. Long story short, you get amazing views of the city as well as the Statue of Liberty all at once. The 15-minute helicopter ride may sound too less, but it’s ideal for busy travelers. It’s 15 minutes of exhilaration and unbeatable aerial views. Those 15 minutes are enough to satiate you and leave you with a memory of a lifetime. The short travel time is perfect for people who have a lot of places to visit in a single day. Social media is crowded with those quintessential photos of the statue. 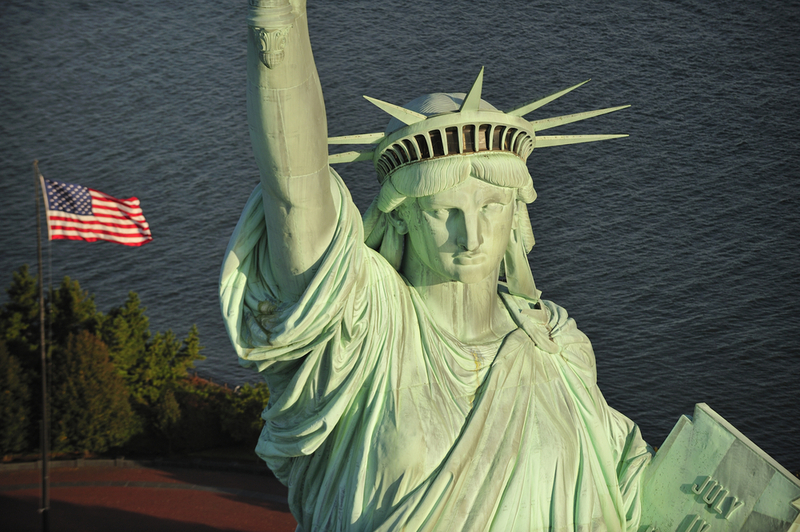 However, not many people get to post stunning aerial shots of Lady Liberty. Helicopters are fitted with large transparent windows, which give you the best view of the Statue of Liberty. You also get enough opportunities to click awesome shots as the helicopter circles around Liberty Island. Right from boarding a ferry to sharing a boat ride with hundreds of other tourists, the traditional travel route to Statue of Liberty is perennially crowded. When you choose to take a helicopter, you get to escape the crowds as your journey begins and ends in a relatively lonely helipad. If you are a first-time helicopter passenger, then you get to kill two birds in one stone. You get to experience the thrill of riding a helicopter for the first time along with enjoying a great view of the Statue of Liberty.